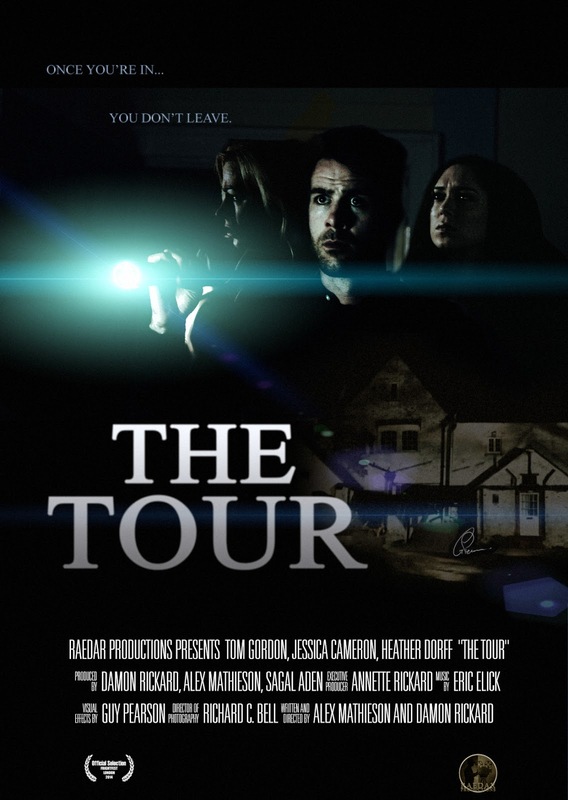 Film-Arcade.net: Horrorpalooza 2014: Haunting Stills and Trailer for the Short Film "The Tour"
Horrorpalooza 2014: Haunting Stills and Trailer for the Short Film "The Tour"
Readar Productions recently send us over a couple of stills for their short film "The Tour". The film stars Jessica Cameron ( Silent Night, Truth or Dare), Heather Doff (What They Say, Truth or Dare) and Tom Gordon. The film will playing at the Telluride Horror Show in Telluride, CO on October 11th as part of "Fear Itself" short block that starts at 10:30PM and at the Horrible Imaginings Film Festival in San Diego on October 12th as part of a Short Film block that starts at 6:15. The Tour score composer Eric Elick will be on hand for a Q and A session at the conclusion of the short film block. The short film follows two American tourists (Jessica Cameron, Heather Doff) who visit Darkmoor Manor which is one of England’s most haunted houses. During the tour, they meet an attractive tour guide (Tom Gordon) who makes an impression on both of the tourists by getting them inside the house once darkness sets in. But what they all don’t realize, something sinister is lurking inside the shadows of the house.